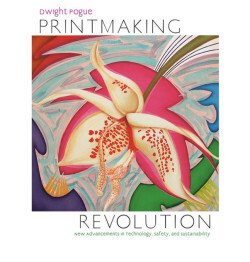 The “printmaking revolution” detailed in Dwight Pogue’s new book is both radical and benign—Pogue’s subject is the recent wholesale transformation of print technologies to make them less deadly but no less beautiful. The unfortunate truth is that, for all the glories of works like Rembrandt’s etchings or Manet’s lithographs or Jasper Johns’ screenprints, the chemicals involved in their production—benzene, naphtha, asphaltum, bitumen rosin—took a tremendous toll on the neurons, chromosomes, livers and lungs of artists and artisans who produced them. For 30 years awareness of these hazards has been growing. Around the world, artists, printers and manufacturers have been busily creating new ways to produce old effects, applying new technologies to old problems, inventing their own recipes and methodologies. Until now, however, most of this information has traveled in various forms, by word of mouth, video or by PDF. Pogue’s book, which he describes as a “studio manual,” fills an essential need, offering a comprehensive, current and well-organized look at new printmaking technologies and, most importantly, the safer use of these technologies for the print practitioner. Pogue has been a professor of printmaking at Smith College since 1979 but the critical origin for much of the book’s content was the Smith College Print Workshop, founded by Pogue in 1984. This annual program brings artists and master printers to Smith to collaborate on limited edition prints: lithographs, screenprints, etchings, and digitally-enhanced re-combinations of these techniques. The very first artist to work there was James Rosenquist (in collaboration with lithography printer Maurice Sanchez), and subsequent years have featured equally eminent artists including Joan Snyder, Elizabeth Murray, Yvonne Jacquette and most recently Whitfield Lovell, as well as master printers such as Peter Pettengill and Pat Branstead. 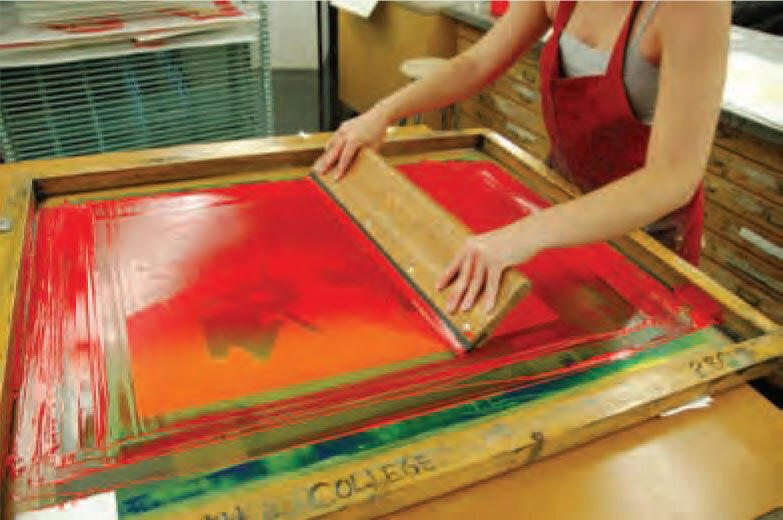 The program has brought students, faculty, professional printers, artists, print technicians and manufacturers together to create what is, in effect, a research-based lab for fine art printmaking. In the preface to his book, Pogue explains its goals: “to share the latest – and until now the unpublished – advancements in printmaking that I have had the privilege to witness and discover; to recount personal stories of how these innovations came about, crediting the inventors; and to educate students and professionals alike on safer studio practices and the latest safest materials available.” This statement sets the tone—the pragmatism and generosity that have been characteristic of the Smith College Print Workshop continue in this book, which is also one of the program’s outcomes. When Pogue offers recipes for working with photo-based imagery in lithography, intaglio and silkscreen, he acknowledges the developers of these new techniques and provides contextual background describing what the innovations are, what they do and what their place is within the development of printmaking and print technology. In 2009, for example, Pogue was searching for a safer solvent to use in the making of high-resolution positive photo-coatings for lithography stones. Skip Klepacki’s company had developed the first thermal laser imaged lithography plates, eliminating the two most hazardous waste streams from the pre-press operation. New, sustainable, plant-based compounds had been adopted in the paint and coating industries as alternatives to the traditional petroleum-based solvents. When Klepacki and Pogue tested the new alternatives against conventional printmaking materials they found the results using these new plant-based solvents far exceeded their expectations. These sustainable and carbon neutral materials biodegrade into benign compounds. They rinse with water and do not contribute to the depletion of the ozone layer. These new bio–products (D & S Bio Solut, D & S Rollerwash, D & S Bio Laq) were found to be equally effective in smaller amounts than traditional toxic solvents such as asphaltum, lithotine, paint thinner, acetone, turpentine, red lacquer V and alcohol. Pogue’s book is focused on two critical bodies of information for contemporary print practitioners. The first is the identification of standard print practices and their known handling hazards and an explanation of safer alternatives. (For example, instructions are given for how to achieve the characteristics of ferric chloride etching using electrolysis for copper with only kosher salt, water and a simple battery charge.) The second is the array of digital innovations that can be used in place of now obsolete, toxic practices like KPR. Many of these methods, like digital halftones for four-color separations, are superior to the processes of the past. The book is divided into sections on lithography, intaglio, and silkscreen, each of which offers a brief history of the medium and its materials, as well as historical and technical context, and descriptions of how studios for each of these techniques can be brought into the 21st century. The book offers practical advice about where to place computers, ventilation systems, electrolysis equipment, and darkrooms where sinks and exposure units share a space. Like a good cookbook, this manual takes the reader through each process and describes the procedure necessary to produce optimum, reliable results. It is abundantly illustrated with diagrams and with works of art produced in the Smith College Print Workshop. An appendix at the back lists new products and where to buy them. View of screenprinting technique from Dwight Pogue’s Printmaking Revolution. It is easy to imagine working in the studio with this book open on the counter. While it assumes a familiarity with printmaking on the part of the reader, and each section is replete with details of interest to specialists, the information is presented clearly enough to be broadly accessible. The book is particularly good on digital photo techniques. Printmakers have been making positives digitally since the mid-90s but the materials were often frustratingly difficult to use. Technology has improved rapidly, however, and this section of the book gives detailed instructions for making film positives for lithography, intaglio and silkscreen, taking care to note the special characteristics needed in each medium for good results. Even printmakers who are less digitally confident will find it remarkably easy to follow. 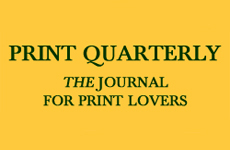 Pogue contrasts these recent advances with the ‘bad old days’ of printmaking when prints were made using carbon arc lamps that produce toxic fumes, or highly flammable xylene solvents, or strongly carcinogenic compounds like benzine. Thirty years ago it was a rite of passage for aspiring printmakers to stick their exposed hands in trays of acid, but what seemed normal then looks ridiculous and stupid today. Pogue writes, “knowing what we now know about the consequences of teaching with hazardous materials and being aware of products that are safer and yet equal to the task, we have no excuse for not fully embracing this new technology and requiring our students to be responsible in the studio.” In addition to its focus on specific techniques, Printmaking Revolution offers guidance for creating a safe working environment that is EPA compliant. It provides diagrams, illustrations and instructions on how to set up new spaces, and devotes particular attention to the requirements and adaptations necessary to improve an existing shop. There is an urgent need for this kind of information for both individual practitioners and institutions. Everyone has become more aware of the incipient dangers—some insidious, causing harm years later or in the next generation. The art community has benefitted from the increased awareness (and legislation) of industrial workplace safety. Environmental Protection Agency now recognizes print-shops as “labs” where hazardous materials are used and stored and requires that these “ labs” comply with EPA Regulatory Measures. The threat of litigation has created yet another pressure point for change, making managers and institutional administrators more willing (and in some cases legally compelled) to convert shops into safer workplaces. Compliance with safety measures is no longer a matter of personal preference. Many students are also aware of these concerns—they demand a safer work environment and they know the questions to ask. Those of us who work with, and care about, printmaking have been aware of the move towards safer practices for quite some time. The will was there, but not the way: we need a new comprehensive manual of current, safe practices in the print studio, written by artists for artists. It is our good luck that Dwight Pogue is both widely experienced and an effective communicator. The book’s great appeal is that everyone working in printmaking—faculty, students and professionals—will be able to find something useful in it. More than that, however, Pogue’s book makes it incumbent on us to act responsibly. Knowledge of these issues is essential and applying that knowledge is required of all of us. Printmaking Revolution: New Advancements in Technology, Safety and Sustainability is an essential manual for print practice now.